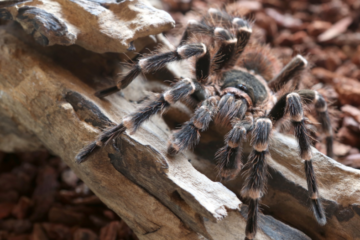 The eight-legged star of the silver screen: The Brachypelma species will be familiar to anyone who likes Hollywood films that have featured tarantulas. Its docile nature makes them relatively easy to handle on set, and their colorful yet somewhat sinister appearance is perfect for the screen. As a result, the different Brachypelma species, particularly Brachypelma emilia, are famous, both in popular culture and among dedicated hobbyists. 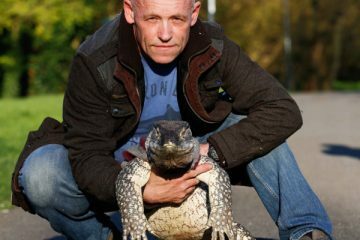 Just about anyone would love to have an exotic pet of the same breed as the stars of their favorite Hollywood movies or TV shows. But is it a tarantula for everyone? Should it be kept even by amateurs or beginners to the hobby? 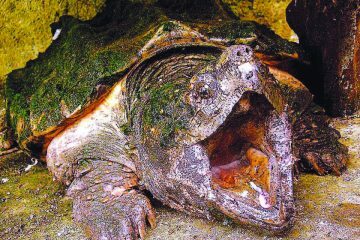 As always, education is the key so let’s learn more about this fascinating creature. 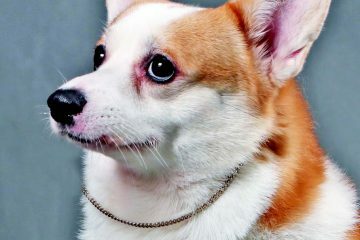 Responsible breeding and pet ownership are essential to prevent negative effects on any animal and on the local ecosystem, especially since they have the potential to be invasive species in the Philippines if they are able to adapt to the climate. The Brachypelma emilia is not to be an freed in the Philippines under any circumstance. All tarantulas are venomous but only vary in toxicity. Extra care is necessary to keep these species safely. Handling the Brachypelma emilia is possible, but not recommended. It will only stress the animal, and handling invertebrates has no benefit to the animal—though some keepers like to show them off, this is not a good thing. These invertebrate pets are meant for our eyes only, and were not created to interact with people. Patience is also very important in keeping the Brachypelma emilia since they are slow growers. 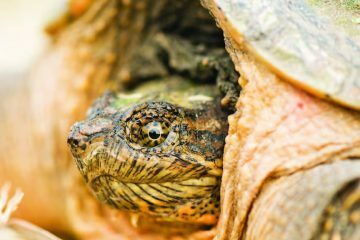 Keeping invertebrate pets teaches us respect to nature, to be cautious in interacting with animals, and ultimately, to be patient in rearing them. 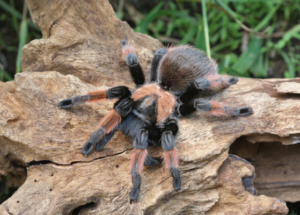 The Brachypelma emilia is native to Mexico and neighboring parts of Central America. It can grow up to 5.5 inches of diagonal leg span, molting less and less often as it grows (a process marked by shedding its outer skin or molting). This species has a slow growth rate compared to other tarantulas, and it takes a lot of patience to raise a spiderling to adulthood. This slow growth rate also contributes to their lengthy lifespan. In the wild, this species does not eat daily and this accounts for its slower growth rate in the wild compared to those in captivity. The growth of a specimen can also be manipulated by the frequency of feeding, a practice known as “power feeding” in which owners of specimens in captivity feed them bigger quantities of food more often. This is because they want their specimen to molt more often than usual in order to reach a specific size quicker. What’s its ‘personality’ like? The Brachypelma emilia is generally a docile and slow moving species which tolerates handling every now and then, although regular handling is not recommended since it causes too much stress to the animal. The Brachypelma emilia prefers to be left alone and is usually active at night. 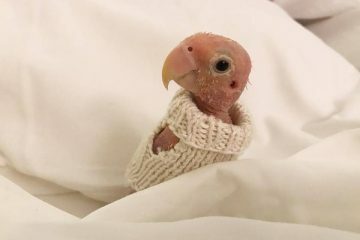 Though it is a desert and dry land dwelling species, in captivity, they may need a small water dish for hydration in extreme heat and dry conditions. The Brachypelma emilia will look good (and do well) in an enclosure with a complete setup similar to their natural habitats. Most keepers like to decorate their enclosures; since this species seldom burrows or makes webs, it will not ruin enclosure décor. The venom toxicity of the Brachypelma sp. is generally low. They usually flick urticating hairs and flee rather than bite when threatened. 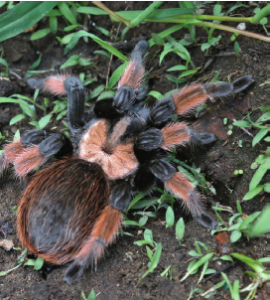 The danger in case of a bite is mostly due to mechanical damage done by the fangs; no human death from a bite from any member of the Brachypelma sp. has been recorded so far. The venom of the Brachypelma emilia is often compared with bee venom when it comes to toxicity, so it is still dangerous to people with severe allergic reactions to venom. 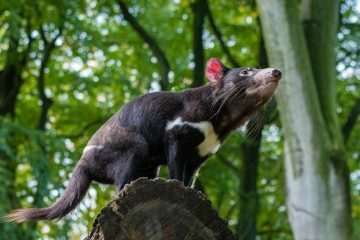 Only in these rare cases in which the victim is allergic to even mild venom can a bite from this species lead to death. Females can live for 20-30 years in captivity. Males live only a few months after their ultimate molt, which is also when they are capable of breeding. Males have tibial hooks (spurs) used to anchor the female’s fangs during mating to prevent the female from consuming the male. However, these tibial hooks are only visible upon the ultimate molt (final molt upon reaching sexual maturity) of the males; this is when they are able to make a sperm web and release their sperm. The males have hollow hooks on their pedipalps (appendages in front of the head which look like extra legs but are used like human arms) where they store their sperm webs before they insert these in the female’s “pouch.” There, she will store the sperm to fertilize her eggs. 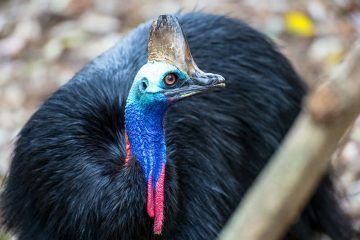 The sperm in the female’s “pouch” can be stored until she sheds her skin, making one mating attempt sufficient for breeding purposes if the male successfully deposits his sperm in the female. Juvenile specimens can be gendered by their shed skin; the reproductive parts of the female will be visible in the skin, while this will be absent from the male’s skin. of these species from the wild. 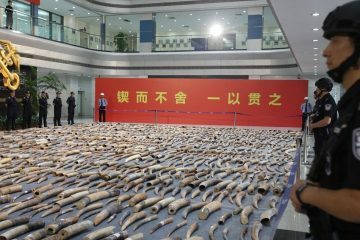 They are currently listed in the Convention on International Trade of Endangered Species (CITES). 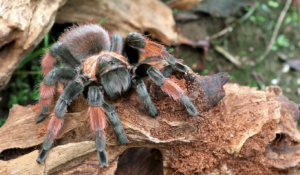 Members of Aphonopelma and Brachypelma genus are the only tarantulas included in the list of CITES, not only due to the high demand for them in the pet trade, but also because of habitat loss. Being listed in CITES protects the animals from the international pet trade. However, being listed in CITES will not protect these species from the local pet trade of their countries of origin. The Brachypelma sp. is popular not only for its looks but also because it is very easy to care for in captivity. Captive breeding is possible in the Philippines, increasing their numbers in the pet trade while decreasing the demand for wild-caught specimens in the black market. Despite the efforts of CITES, the Brachypelma emilia’s population continues to decline, no thanks to habitat destruction and the illegal global pet trade. Captive breeding is currently being done so that specimens can be released back in the wild to help the species recover from human activities. The Brachypelma emilia has a very important niche in its native ecosystem, controlling insect populations and digging burrows for other animals to inhabit in the future. The Brachypelma emilia is a good display specimen which is low maintenance and easy to care for. 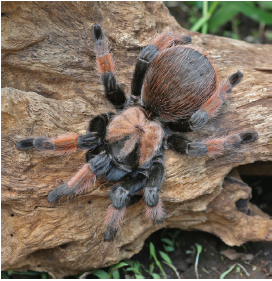 This can be a good first tarantula for any hobbyist or enthusiast who would like to begin caring for an exotic pet. Just be sure to acquire your specimen legally and with the proper health certificates.